What Makes a Good Night Photography Lens? 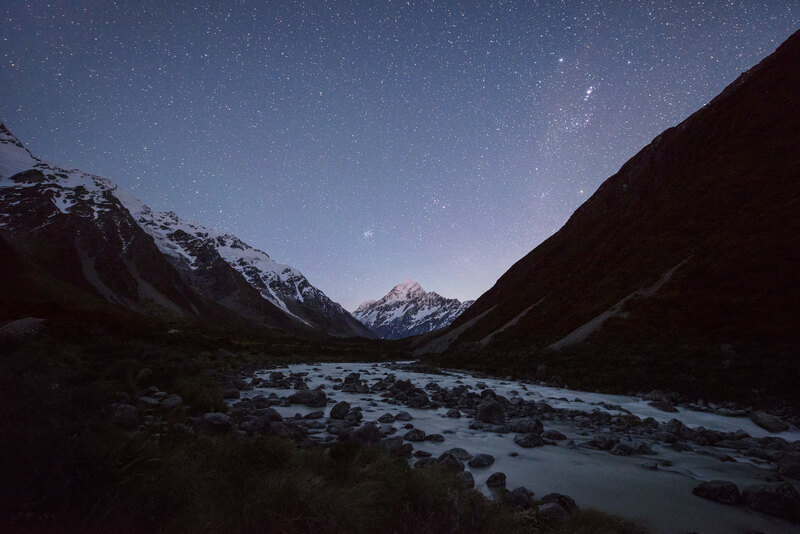 Home » Photography Tutorials » What Makes a Good Night Photography Lens? Everywhere in the world, across the course of a year, the sun will be below the horizon just about 50% of the time. Although it can take a while for sunset to fade away completely, it’s safe to say that we spend a huge portion of our lives under dark skies. Normally, nighttime isn’t something that people equate with being awake, of course, but landscape photographers are strange people. In fact, moonlight and the Milky Way can lead to some of the best photos you’ll take, and they are well worth exploring with your camera. In this article, I’ll go through the characteristics that make some lenses better than others for star and nighttime landscape photography. A large aperture: At night, you’re fighting for every photon. A large aperture lets more light onto your camera sensor. High sharpness: For night photography, pay special attention to the corners of an image, since you’ll be shooting at wide apertures, where most lenses are significantly less sharp. Low coma: Some lenses cause bright pinpoints of light, like stars, to smear when they are at the corners of your frame. Good lenses have less coma. Low vignetting: If the corners of your photo are excessively dark, you’ll need to brighten them in post-production, which adds a lot of noise/grain. Typically, the most important features of a nighttime photography lens are its maximum aperture and widest focal length. Why do these matter so much? Simple: they affect the amount of light that reaches your camera sensor. Before we dive deeper, let’s cover something known as the 500 rule. This rule says that — in order to avoid blurry stars — the longest shutter speed you can use is equal to 500 divided by your focal length. The 500 rule used to be called the 600 rule, and now I’m starting to hear some people call it the 400 rule. The numbers keep changing because new cameras have more and more pixels, which means that they can detect smaller and smaller star movements. The chart above is a good guide, but you’ll want to test your own camera to confirm that there isn’t too much movement, particularly if you have a recent camera with an extremely high megapixel count (more than 36). Quick, which one is better for star photography — a 14mm f/2.8 lens, or a 24mm f/1.8 lens? The 500 rule favors the 14mm, but the 24mm has a wider aperture. To calculate which one actually lets in more light, you’d need to see if the wide aperture of the 24mm offsets the longer exposure of the 14mm. Things get even more complicated when you start using lenses on cameras with different sensor sizes. Which is better at night — a 7mm f/2.8 lens on a micro four-thirds camera, or a 24mm f/4 lens on a full-frame camera? Important note: As you might have been wondering, this “proper brightness” exposure will not actually be accurate in every case, depending upon the conditions that you encounter. At certain times of night, and under different moon conditions, I have used everything from ISO 200 to ISO 6400 successfully, even with the same aperture and shutter speed settings. The values above are calibrated for the brightest portions of the Milky Way under a clear, moonless night without light pollution, and a lens that doesn’t have any vignetting — pretty ideal conditions. In other words, this is a score that helps you compare lenses, and not necessarily a recommendation for your ISO setting in the field, unless you are shooting under ideal conditions. Obviously, round these values. Your camera doesn’t let you pick an ISO value of 2965, for example, so just round up to 3200. This chart is designed for a full-frame camera, but you can still use it with a crop-sensor camera — just pay careful attention to the values you pick. On one hand, if you’re trying to figure out which ISO to use (which, as mentioned above, isn’t necessarily recommended), just multiply your lens’s focal length by the crop factor, and you’re good to go. For example, with the Olympus 8mm f/1.8 lens on a micro four-thirds camera (2x crop), the proper ISO is at the intersection of 16mm and f/1.8. Here, that’s ISO 1691, or ISO 1600. However, if you are trying to compare the nighttime quality of lenses across sensor sizes, the process is different. Multiply both your focal length and your aperture by the crop factor to find your “full-frame equivalent” ISO performance. This lets you compare lenses across different sensor sizes to see which one is best for nighttime photography. 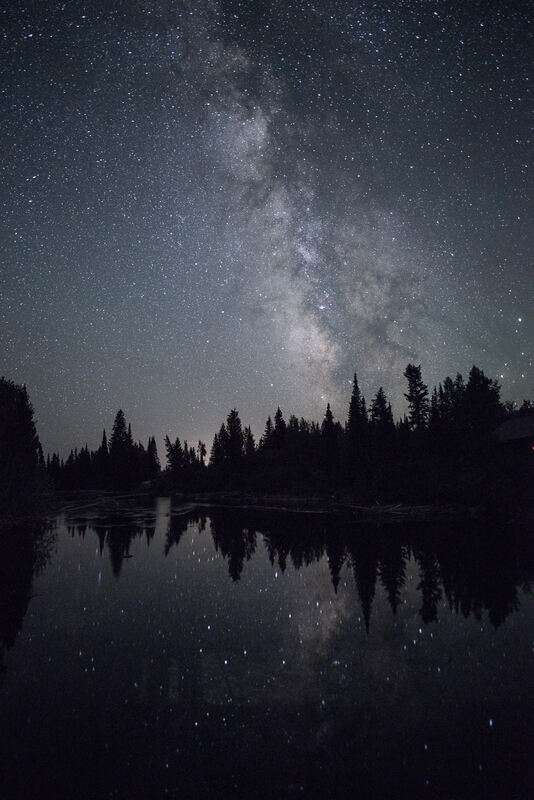 In this case, the Olympus 8mm f/1.8 at ISO 1600 has the same nighttime photography “score” as a 16mm f/3.6 lens would on a full-frame camera. In this case, that’s ISO 6356. Looking at this score, the Olympus 8mm f/1.8 would outperform a 16-35mm f/4 lens on a full-frame camera, since the 16-35mm f/4 “scores” an 8160. However, it would lose to a 16-35mm f/2.8 lens on a full-frame camera, which “scores” ISO 4080. Pretty easy! This is close to the ideal exposure, but it was a bit too dark out-of-camera, and my lens has some vignetting. Ultimately, I had to brighten this photo slightly in post-production. Ideally, my settings here would have been 25 seconds, f/1.8, ISO 2000 (or ISO 2500). Although this photo still turned out fine, I could have used a lower ISO — and done less brightening in Lightroom — if I had exposed more carefully. Why is the 14-24mm f/2.8 better? Simple: depth of field. Wide angles have more depth of field than any other lens. A 14mm f/2.8 is almost perfect here — it can capture the entire landscape in focus, from 1.2 meters to the stars. By comparison, the 50mm f/1.4 only renders a sharp image from 30 meters on. 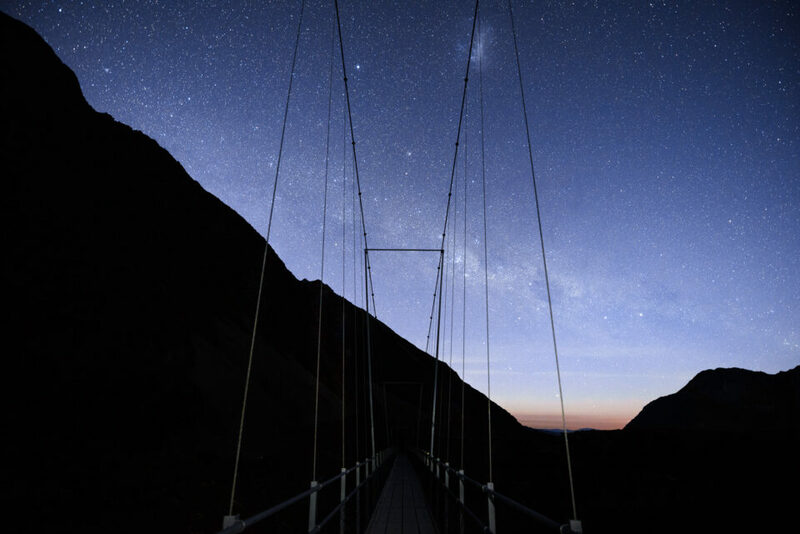 Even with an ultra-wide angle lens, though, you’ll still have problems getting everything in focus at night. Physics is simply working against you. If you’ve tried everything else, consider moving backwards as much as possible — place the foreground farther away from your lens. Of course, that isn’t always feasible, and, for the closest foregrounds, it still doesn’t help enough. Sometimes, I’ll even stop down slightly (and then raise my ISO) if it’s a particularly difficult landscape. Ultimately, you may have no choice but to focus stack your images. Take a series of photos at different focusing distances, then combine them together in post-production. At night, though, this is very difficult and time-consuming, and I strongly recommend against it unless you have no other choice. Nighttime photography is one of the most demanding ways to use your equipment, and not all lenses are up to the task. Along with the expected image quality difficulties (sharpness, vignetting, and coma), you have to find a way to work with as little light as possible to create your images. The only tools at your disposal — shutter speed and aperture — will be pushed to the breaking point. The chart above gives you a good idea of the ISO you’ll need for your setup, but that isn’t the only that information that matters. You should also pay attention to depth of field; at night, there won’t be much. 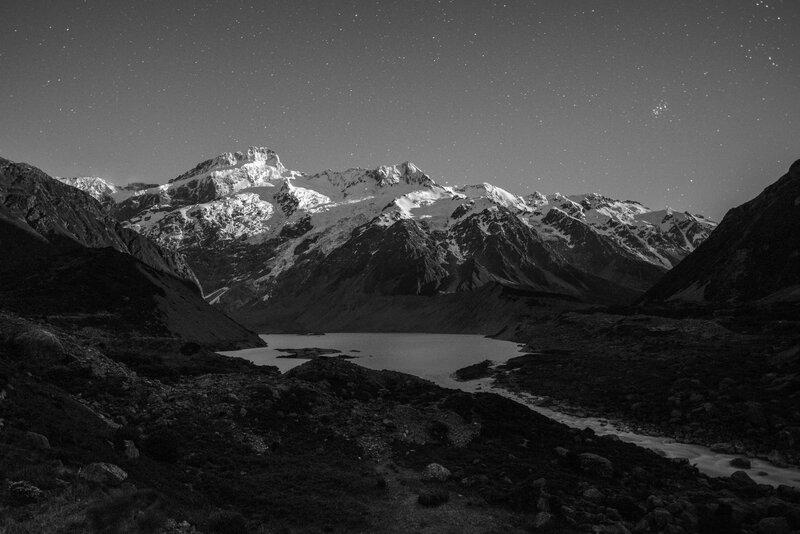 Clearly, nighttime landscape photography is a tricky job. However, it’s also well worth the effort. The first time you bring back a good photo of the Milky Way or a starry sky, you’ll be hooked — I know I was. And, although the lenses you use certainly matter, they aren’t everything. The hardest part is just staying out at night in the first place. When you do, good images will follow. Very useful information and some great night photos. Thank you Spencer. Thanks, glad that you found it useful. Its a nice article there. I have been long wondering and have found little info on that 600 and 500 rule. I first heard that rule when i started taking photos of Aurora Borealis, here in Estonia. Never understood from where all the numbers came, only that needed to divide something with something. Now i know better what is what. On the lens part, i suppose you meant under sharpness the lack of distortion e.g. barrel distortion? If yes, then i want to add a little on that. Some lenses have a trick on sharpness. For example, when i focus at night for nice landscape with my widest focal length of 18mm, i get starts distorted on sides quite a bit. In center, i get nice star dot and on the sides i get out-of-the-center lines of stars. That is if i focus on infinity. But when i focus it just a tack back, just as much that it would make stars look as dots on the sides, i still somehow have sharp dots of stars in center also. Not all lenses have this trick and i think it is because lens is not well calibrated during manufacturing or just any other reason. But on this i have a question. Would it seriously make background blurry if i use this technique of mine? I have not noticed yet any difference but on other hand, i have not had a chance to take a lot of photos at night time also. All on all, it is very informative article, thank you. Hi Bogdan, thank you for your comments! When I mentioned sharpness, I was referring to it as we normally think of things – details (mostly in the corners), stars or not, growing softer. What you’re talking about sounds more like field curvature, where the “plane” of sharp focus from your lens is curved. (Article: photographylife.com/what-…-curvature. If your lens has strong field curvature, the stars in the corner may appear blurrier, but it would be possible to correct them somewhat by changing your focus point. Yes, this helps a lot! Thank you very much! Not the dreaded 500 rule again, LOL! It’s easy to use mentally in the field, so it certainly has it’s use, but it falls way short on today’s higher density sensors if you want to print larger than 8×10, and especially with medium format. It was formulated with 35mm film in mind which had really high grain at ISO 800+. I subtract another 5 to 10 seconds from it for 24 to 36MP full frame sensors. I wrote about a much more accurate (and complicated) NPF exposure rule in my detailed guide to photographing the Milky Way for those that are interested: (35 x aperture + 30 x pixel pitch) ÷ focal length = shutter speed in seconds. Here’s a link to the article (it’s on page 3): photographylife.com/lands…-milky-way It’s best to figure it out at home and write it down for your lens/camera combo before going out and shooting in the field of course, where the mental gymnastics are just too cumbersome! I’ve been able to get the NPF rule added to DslrDashboard’s calculators for convenience if you happen to shoot with that app at night. It’s not in PhotoPills yet, but I’ve been talking with them too (they are focused on an Android release before adding more features!). A good rule of thumb for detailed Milky Way exposures is around -6 to -7 EV under a new moon and 1 or 2 on the Bortle Scale for light pollution. Anything brighter for exposures will over-expose bright stars like Arcturus and they will lose their natural color and go hot white. I usually shoot my ground exposures 3 or 4 stops brighter than my sky and blend the two in Photoshop. Often I close the aperture a stop for more depth of field, re-focus for the ground, and/or shoot at lower ISO for less noise too, so that can mean 8 to 15 minute exposures of the ground. For star trails (unless I’m shooting a timelapse video at the same time), I’ll go the other way and shoot 2 to 4 stops dimmer than my Milky Way exposure, as too many stars is too busy after stacking. I also very slightly de-focus my stars to get softer/smoother lines. That’s only if I don’t also intend on creating a timelapse video from the same frames though. I agree that 14mm f/2.8 (particularly Nikon’s 14-24mm f/2.8 lens) is pretty much the ideal focal length at night if you want a lot of landscape and minimal fuss without focus stacking, etc. Tamron’s 15-30mm f/2.8 (really a 15.5mm), Rokinon’s 24mm f/1.4, and Sigma’s 35mm f/1.4 ART are also exceptional choices for night photography for a variety of reasons. There aren’t many lenses that render beautiful stars at f/2.0 to f/2.8. I’ve had pretty good success with my Rokinon 12mm f/2.0 on a Sony A6000 on my one or two attempts at the Milky Way. However, next time I think I’ll try your exposure recommendations including stacking for the foreground. BTW – I love Photopills. I could play with it all day. Thanks for the comments, Aaron! With regards to the 500 rule, I agree — it’s not particularly precise, and I often find myself shortening the recommended exposure slightly. Any rule that we invent is inherently an approximation, though, since stars “move” more quickly in different areas of the sky, and no formula can take that into account in a practical way. Although this article does talk about nighttime exposure recommendations, that’s not the real reason I wrote it. Instead, it’s mainly meant to show why certain lenses are better than others at night. So, the 500 rule works fine here, as would the 400 rule or 600 rule — I just had to choose something! If I had used a different “rule,” it would change the specific ISO values recommended on the chart, but not the relative scores of any lenses. I’m working on a separate article that covers specific lens recommendations, too, but I thought that this one could cover some useful background information first. Thanks for adding your thoughts! I always felt that starlight photography tells the truth about all lenses, as you are in effect probing optical aberrations such as coma in a way that few other field techniques can. Perhaps we shouldn’t discard a 50mm f/1.8 lens say (and you probably didn’t mean it). Such a lens would typically be a prime, i.e., have a very decent optics, and yet perform rather well for shooting certain constellations and/or extended objects in the 10deg – 20 deg angular size range (Orion, Large Magellanic Cloud, Milky Way densest parts, etc., come to mind). Of course, unguided exposures might be tough to do but equatorial mounts have become very inexpensive these days. What would be really valuable is a comparison of a set of lenses with regards to their ability to control aberrations as a function of angular distance from center. Since it might be difficult in practice for a single photographer to have access to a pletora of fast lenses (though sellers might make them available on loan), this effort might call for the participations of few dedicated people, covering a pre-selected range of focal length, aperture and manufacturers. Other real life factors would have to be dealt with, such as stellar disk sizes (aka ‘seeing’), etc., but these should be feasible. For star photos that also have a foreground, though, things are trickier. You certainly can use something like a 50mm f/1.4 or f/1.8, but you’ll face some challenges — primarily, depth of field. It could work if your “foreground” is nothing more than a mountain in the distance, but there’s no easy way to capture an in-focus night landscape with a 50mm f/1.4 if any objects are close to your lens. That’s why a 14mm f/2.8 tends to work better, even though the two have similar “scores” on their nighttime ISO performances. Do you have any tips with respect to focusing at night in low light conditions? Focusing at night can be very, very difficult. If there are any bright lights in the background (distant cities or the moon), I always focus on them — of course, that isn’t always the case. No matter what, I recommend a bright flashlight. Typically, you can focus on something in the distant foreground (at the farthest reaches of your flashlight), and the stars will still be sharp. This is especially true if you have a lens like the 14-24mm f/2.8, which has a high depth of field. If you’re working with a longer lens — something like the 35mm f/1.4, for example — this flashlight trick may not be precise enough for you. That’s when I recommend finding the brightest star in the sky, then entering your camera’s live view at full magnification. Focusing will be very tough, but you can make things easier by looking for longitudinal chromatic aberration in the stars (turning purple or green when they are out of focus). Put the brightest star in the center of your frame, then adjust focus slightly until the star is small and neither purple nor green in color. This method may require several test shots, so I recommend setting your camera to very short exposures (something like five seconds, f/1.4, ISO 12800) so that you can make adjustments quickly and not have to wait thirty seconds to see whether you actually nailed focus. Obviously, set it back to normal once your stars are sharp. There’s no perfect way to do it, but these tips should help! Thanks for the tips and your prompt reply, I’ll give them a try. Most of the time I will shoot with a Zeiss 18mm f/3.5 or Zeiss 21mm f/2.8. I do have a Nikon 24mm f/1.4, but I never found it very good when using it in manual focus. Another issue not discussed here is flare. If you like to include some brighter light source(s) in your night shots, as I do, flare can be a real problem, in which case a low-flare lens is important. Good point, thanks for mentioning this! If the moon or another light source is in your photo (or just out of frame), flare at night can be very problematic. Not only this, i also do like to add sometimes light sources that may and even will make some flare if used wrongly but there is also one thing to consider. Ever since i started taking photos of Aurora Borealis at one hunting spot and that spot is easily accessible by car and also well known among Aurora Borealis hunters, not all people are good toward each other. Often people ruin other people work with such easy move like they don´t turn car lights off when getting close and all the light gets either in your camera and cause flare or lights up all the environment which quite often is not desirable. Most people who understand this and respect other people work, will turn lights off at least before the last turn and use parking lights and save you from lightning up whole environment but not always. Hi Spencer, great article and the information was very well explained. Have you ever tried or heard of anyone trying to use a cine lens such as the 14mm Rokinon ds cine lens(or better) for astro photography? I haven’t specifically heard of photographers using cinema lenses for astrophotography, but it certainly could be done! Their optics are just like those of normal photography lenses. Lots do, especially for timelapse without any aperture flicker. The flicker effect is less significant for night photography than most other types of timelapse, since you’re likely using your lens’s widest aperture, meaning that the aperture blades do not close and reopen (or move at all) from photo to photo. However, if you’re stopped down even slightly, regular lenses potentially will have flicker during a timelapse, while cinema lenses won’t — thanks for adding this. For aperture ramping is what I was referring to, holy grail from day to night or night to day. You can drive it with a motor for stepless aperture ramping without flicker and not need to pause to remove an ND filter at night. Ah, ok, very cool! I’ve never done that type of timelapse photography, but I’ve seen some great examples of it before. Thanks, Spencer, for taking the time to make all of this info accessible to a wide audience. I’ve only shot the Milky Way a few times, but in my experience the Nikon 20mm f/1.8G is about as good as it gets. Super sharp, little-to-no coma, fairly wide, and relatively cheap. I sold mine and bought a Nikon 14-24mm which I prefer for most things, but it doesn’t perform as well for the stars. Glad you found it useful! Using both the 20mm f/1.8 and the 14-24mm f/2.8, I tend to agree with you — the 20mm is generally better for nighttime photography. However, if you’re having a hard time with depth of field, the 14-24mm gives you a larger window to work with. At 14mm, 30 seconds, f/2.8, ISO 3200, you’ll actually get a pretty bright Milky Way and acceptable levels of noise. Thank you SpencerCox for this useful information, I actually printed parts of your article for future reference. A few years ago I purchased the Nikon AF-S NIKKOR 85mm f/1.8G to use as a portrait lens. I also tested it as an astrophotography lens for deep space objects (DSO) and comets. I was very impressed with how well it rendered stars from center to corners even at f/1.8. It doesn’t get used as a nighttime landscape lens because it’s FOV is too small but for DSO/Comet it’s great. I recommend his pages to anyone who is serious about their night sky photography. It can be a bit mathematical and dense at times but the reward is worth it. I’ve been through the “stumbling” stages of night photography in 2016, just guessing and getting a lot of good shots based on years of knowledge. This process led me to recently begin the effort to figure out the information you have already done and shown here. You’ve saved me a lot of head scratching and hours of work. This chart is exactly what I needed, though I did not know it yet. AVAST scanner reported and blocked malware from “amarketplaceofideas.com” which was trying to send along an ad I suppose. Happened a three minutes or so into my reading the article. Notice that you use a Nikon D800e. I have a D800e and a D810 – I know this is kind of heretical, but I actually prefer the 800e. I realize that ‘s a subjective thing but there you go. Equipment manufacturers have a vested interest in selling their latest gear but sometimes the hype surrounding the latest and best is just that – hype. I also use a Tokina 16-28 which cost me $500 second hand. It’s brilliant. I’ve read the review of Nasim where it’s handily outperformed wide open but mine is usually stopped down as far as it will go and I find it to be incredibly sharp. How can we translate these into mobile phone cameras. Any thoughts on them. How to know what is the focal length of my camera phone. Most mobile phones won’t make a good night photography lens simply because of the sensor size and poor low light performance at high ISOs. Lightroom, Camera RAW, Bridge, and lots of apps will tell you the focal length of your phone though. 4.15mm f/2.2 for an iPhone 6 for example. I appreciate the useful information here. I am always looking for info like this. One area that I have struggled in is finding good techniques for editing night-sky images in Lightroom and Photoshop. If you have a pointer to anything like that, I would appreciate it. I’ve shot northern lights, meteorite showers & Milky Way in all seasons for the last 4 years, with a D600, Rokinon 14mm/2.8 & 24mm/1.4. Shot some short time lapse as well, using both these lenses. Focusing can be difficult on the 14mm. I use Live View mostly & tape the lens. I do use the Sharpstar on the 24mm with good effect. In cold weather (I’ve shot outside at -20 C for hours with all this equipment without issue), this camera & these lenses performed just fine, with the use of Hot Hands & a light hoody draped over the camera & lens to shield them from wind. For “slower” less active northern light displays the 14mm is great & covers a lot of sky @ ISO 1600 or so & 15-20 seconds, but when northern lights become more active this lens tends to blur out due to longer shutter intervals (unless you are directly under the display, which where I live is rare but impressive). I then go to the 24mm, ISO 800-1000 @ 4-6 seconds. More detailed shots of light using this lens. I’ve also purchased the Rokinon 12mm/2.8 for a truly “Big Sky” experience & some pretty interesting night shots. I now have a D810 & Nikon 14-24mm/2.8 to play with & am looking forward to a clear night (and warmer than we’ve had) & some northern lights displays or time lapse Milky Way. The 14-24 is an amazingly sharp lens. I am reading seemingly contradictory information and not knowing what to make of it. Perhaps, someone can explain this apparent discrepancy regarding the affect of focal length on night photography? Is one author accounting for the variable of depth of field while the other is not? Thank you. That is all true, no discrepancy. The challenge for us photographers is shooting sharp stars without earth’s rotation causing the stars to trail, unless you have a polar-aligned tracker. A longer focal length with the same aperture is indeed going to gather more light, but it’s also going to magnify the subject and movement, where wider focal lengths allow for longer shutter speeds and still maintain sharp stars. If you have a tracker, none of this matters, until you get into long enough focal lengths or exposures where the tracking needs to be a lot more critical (longer than 50mm focal length or 4 minutes for shutter speed as examples). Guided trackers are capable of longer shutter speeds and focal lengths, but unguided ones have limitations. Hope that helps! Great Article. Lots of physics and quality stuff. Normally, that’s ideal, but at night it is more important to capture sharp stars, even at the expense of a blurry foreground. Instead, to get that particular number (1.2 meters), I used the old fashioned definition of an acceptably sharp photo – 30 microns of blur – since you’ll need to loosen your standards for nighttime photography. I then used an ordinary online depth of field calculator to determine how much depth of field I get with the inputs of 14mm, f/2.8, and 30 microns for the “circle of confusion” value. I touched on this briefly in the article above, although I didn’t go in depth. Take a look at the technical side note under the “depth of field” section. Many thanks. I’ll go in depth (in this case opening my mind aperture, not closing) reading all other articles regarding depth of field.